And why they're updating Road to Perdition writer's original script. You may not have heard of Marcus Dunstan and Patrick Melton - the new writers of the long-awaited God of War movie - but you've probably heard of some their films. The duo wrote Saw 4, Saw 5, Saw 6 and Saw 3D, as well as the Feast trilogy of movies and, most recently, killer fish sequel Piranha 3DD. News that the pair had replaced Thirteen Days and Road to Perdition writer David Self had mixed reactions. "The only problem with that is it was written before Clash of the Titans, Wrath of the Titans, 300 and Immortals," Dunstan told IGN of Self's original script. 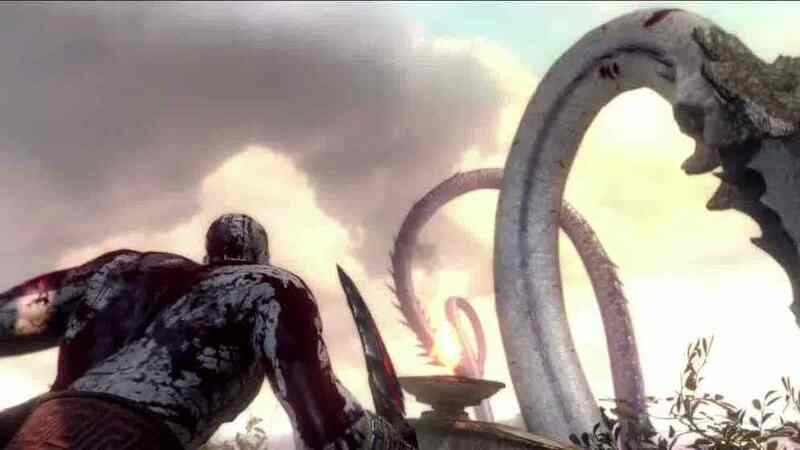 "Those movies borrowed quite a bit from the God of War stories. It was just a little bit outdated, so we wanted to differentiate it from those other movies." Kratos will be humanised, Dunstan continued, referencing the recent Batman trilogy's version of its iconic hero. "In the same way that Batman was grounded with Christopher Nolan's rendition, we were attempting to do that with Kratos so that when we meet him - like they're doing in this newest game [God of War: Ascension], which is sort of a prequel to the original - we're seeing him before he became the Ghost of Sparta, when he was just a Spartan warrior and he had family and kids." This could help the future of the franchise, Melton added. "It's potentially 30 minutes - give or take - of building up this character so that, when he does turn and becomes the Ghost of Sparta, we understand him as a human and we understand the journey that he's going to take. We're emotionally invested, so that it could go beyond just this one movie." "With God of War, the studio's saying, 'We're going to spend $150 million to make this movie. We really need to understand this character and get behind him and feel his pain and feel his emotions so that, when he is in these giant set pieces, we're in there with him and we're feeling it.'" There will be changes too, with baddie Ares due to feature more in the film version. "In the game, you know, he's immortal, and he doesn't really do much besides raid Athens," Melton concluded. "So we're trying to build him up a bit more, too, so that he can become a true villain." First announced in 2005, the God of War film is still without a director, script or main star.